Nutmegcrisp Designs Chatter: Why do Mondays always feel like this?? Why do Mondays always feel like this?? It's strange that Mondays always have that "feeling". I don't even have to leave my house to go to work, yet they still have the same feeling as when I used to leave the house to go to work. I have a few new orders this morning, but I must work on some existing orders today and get them done. 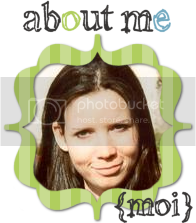 I'm working on a blog layout for a super sweet customer of mine who is writing a children's book and wants her blog to have the look of her book. How fun, right? I'm hoping I can make it exactly what she wants. The design concept is very fresh and fun, can't wait to get it finished for her. You know, I really have the BEST customers ever! With the exception of a couple grouches here and there, all of my customers are just superb....and I truly mean it. Being a seller on Ebay for awhile now, selling to buyers and now fellow sellers, I have to say, I've probably seen it all in terms of customer types! LOL. But, since I've started my design business a couple of years ago, I've just been blessed with awesome customers!! I've gotten to know so many of them, too. Ok, I'm off to start some work but I'll post more later today.